Ivanka's daughter likes fidget spinners, Israel, and wants to join the Marines. Meanwhile, haters slam both Arabella and Ivanka. Ivanka Trump on Friday posted on Facebook her 5-year-old daughter Arabella's answers to a kindergarten questionnaire. 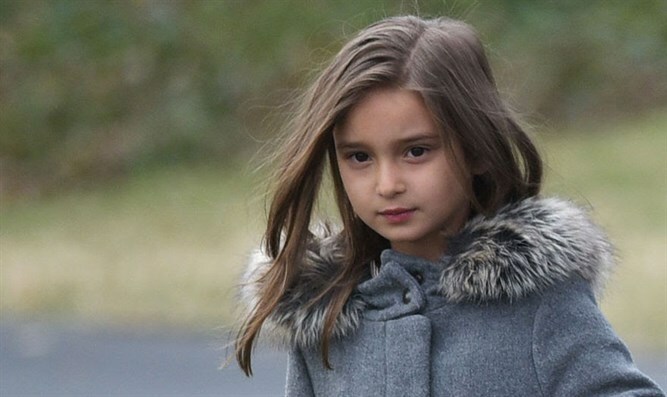 News outlets pounced on the story, as Arabella is the granddaughter of US President Donald Trump and daughter of convert to Judaism Ivanka and her husband Jared Kushner. To most readers, Arabella seems really cute and her answers were priceless. However, Ivanka’s tweet about her daughter’s harmless kindergarten quiz — like so many of her other social media posts — provoked a stream of hateful and political comments. The Trump family cares about the Trump family and the Trump family fortunes. Nothing more nothing less. Two days earlier, Ivanka tweeted an image of Arabella learning the basics of coding. This, too was met with negative comments. Arabella is not a special adviser or unpaid public aide to the president of the United States. She is not advocating for any government policies or defending the president against public criticism. She’s a child. When Ivanka posted her daughter’s answers on Twitter and Facebook, she was likely doing so as a doting mother. And there were some nice responses to the tweet. She's a mom. Just Bc we don't appreciate her fathers views she's a proud mom. Don't shun her for that. Though as her answers indicate, Arabella may be partial to ice cream and rainbows and the Star of David — she doesn’t have political opinions yet, and Twitter commentators should remember that.